The initial, most basic transformation for a werewolf are a change in eye color. As per normal behavior for a shapeshifter, a werewolf will change their eye color to identify themselves. Later this initial transformation will be followed by their finger or toenails lengthening into claws and their teeth lengthening into fangs. This default transformation will appear when a werewolf will defend himself or activate his powers. The most commonly seen werewolf transformation, as well as the most practical is a near-human shape that includes all of the above features. Further changes consist of a ridged brow, an alteration of body or facial hair including sideburns on their faces, a lengthening and sharpening of their ears. They also gain the ability to run using a combination of both their hands and feet. As werewolves grow in experience or if they were to undergo an evolution, they can develop the ability to shapeshift further. An alpha is supplemented in this talent due to his or her inherent spark of power, a beta most likely by the strength of his pack. Depending on their power and character, a werewolf's transformation could manifest as either an quadrupedal beast, or an bipedal demon. Peter Hale, a hereditary experienced werewolf, was burned alive in the Hale House fire and was placed in a coma for six years. During this time he was driven insane by what happened to him and his pack and became obsessed with vengeance for the massacre of his family. He killed his niece, Laura Hale, to take her alpha spark so he could fully heal himself, then killed the arsonists and conspirators involved in the fire. In this thirst for power, revenge and with his new alpha status, Peter transformed into a grotesque, hulking, beast that could stand upright, and run on all fours. Sebastien Valet became a serial killer in the eighteenth century France. He had no conscience, being a complete psychopath. After he transformed into a werewolf, Sebastien ravaged and killed his way upwards to 500 people, feeling nothing pride for his carnage and reveled in his unrivaled notoriety and power, becoming known as "la Bete du Gevaudan." Sebastien's sadistic, twisted personality affected his werewolf transformation, producing a form was that of a quadrupedal beast form larger than Peter's. His body was oil black, thickly muscled, outfitted with red veins and an overlarge lipless mouth. Sebastien could transform into a beast mystically after his body became shrouded in dark shadows that he could summon, forming his werewolf body. Deucalion, an experienced alpha, was once a idealistic leader and visionary who became corrupt and savage after he lost his eyes in a faux peace summit with Gerard Argent. He became a fanatical power-monger, narcissistic, and obsessive. He desired a pack, all of whom were of alpha status, completely submissive to him. When he discovered that alphas can consume the powers of their betas by killing them, he killed everyone in his previous pack, then coerced other alphas to do the same. As a result of his heinous legacy, Deucalion became the most fearsome werewolf in the region over a span of ten years and a super-powered shapeshifter. He could effortlessly transform into a human shape with dark blue-gray skin with more demonic than wolf-like features. Scott McCall experienced a more monstrous transformation and gained additional fangs. In 4x10 - Monstrous, Scott was in the heat of battle against a team of assassins who were to kill fellow werewolves for profit. Scott saved young Lori Talbot from being executed by an assassin and then attempted to kill Lori's would-be murderer out of rage. Giving into his bloodlust, Scott began to transform into a more monstrous, demonic shape with black-gray skin and a darker alpha eye color. When he regained control and spared the man's life, Scott reverted back to his normal form. A unique werewolf transformation is the case of twin siblings. Born werewolf twins have the talent to merge their bodies into one larger werewolf shape. This is symbolic that identical twins are both halves of the same zygote from birth. One benefit of this talent is that when one of the twins feels pain, the other will feel the other's pain. Ethan and Aiden Steiner being identical twins had the ability to merge and because they'd killed their alpha when they both rose to alpha rank. Some werewolves are able to shift into a full wolf form, but this ability is extremely rare. A shapeshifter with this ability is the most powerful form of werewolf; their abilities, strength, and speed having reached their zenith. To be able to shapeshift into this form, a werewolf must find the balance between their humanity and their werewolf instincts. This form can be achieved after evolving. Initially, the only two werewolves known to shapeshift into a full wolf were Talia Hale and her elder daughter Laura, both of whom had alpha status. In Season 4, Derek Hale, most likely as a result of surviving and learning from multiple trials of character throughout his turbulent life, underwent an evolution necessary for this shapeshifting ability. The evolution manifested first as Derek's werewolf eyes changing back to gold. Thereafter he began to lose all his abilities, senses, strength, speed, healing, and even shapeshifting over a matter of weeks. He was brought down to his human guise. Later on he died after being stabbed by a berserker. Minutes later, Derek revived as a fully transformed wolf, all his powers back and increased. Then he was able to completely intimidate and overpower both Kate who was a werejaguar and her berserker. Derek realized losing his powers and dying were because "(he) was evolving." Because a werewolf's senses are immensely attuned to his own kind, particularly with those who are of the same Pack, they're able to communicate with their fellow members very effectively and over immense distances. They're able to use their voices to snap fellow Pack members out of non-responsive states such as a purely animalistic bloodlust or a health-related unconsciousness. In Unleashed, Scott McCall growled Isaac Lahey's name at the latter. Isaac then snapped out of a state of bloodlust. In Required Reading, Liam Dunbar, using the same technique, enthralled Scott out of a psychosomatic-enabled asthma attack. The most particularly common werewolf voice is the roar of an Alpha, with is used to restrain, or force the shift upon, other lesser canine shifters. The extension of fangs, is one of the first steps in a shapeshift for a werewolf. The fangs can be used as a werewolf's last resort defense mechanism as in Raving, Derek Hale bites Victoria Argent to disarm her during his faceoff with her when saving Scott's life. The fangs are most commonly used by alphas to transform a human into a new werewolf through the Bite or to wound other were-creatures and hinder their healing. Claws, along with fangs, are one of the first shifts in morphology to take place when a werewolf shapeshifts. The fingernails thicken and become hooked and pointed. 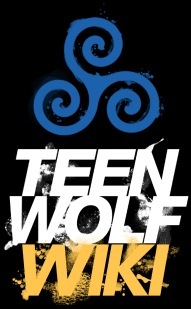 The claws can become detached from the werewolf, as in Lunatic one of Scott's claws became lodged in Jackson's car (though they can apparently grow back in later transformations) and a particular set of claws from Talia Hale were stored in the Triskele urn after her death. A werewolf's claws are their primary instinctive offensive tools, like how fists are for human beings. Alphas, using their claws, can hinder the healing factor of other beings. An Alpha's claws can also be used to transform a human into a were-creature with a scratch, similar to the Bite, though it is less effective. Werewolf claws are also used in the process of mind melding.